And some are on on Flickr. 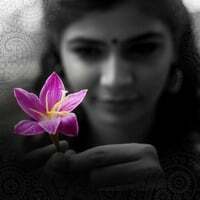 Hi Chinmayi, Thanks for posting the photos. Good shots. Pleasant surprise to find my kids Sindhu and Harish's photos too there. Will always remember the time spent with you and your mom. Good ones. I think you should try getting a portrait pic of yours at these places. Is this going to be aired in some tv? Sorry am out of touch ! An awesome time to be in Japan. Hoping to see you again here. Nice pics. though sad that the one I mailed you isn't to be seen !! Is that Valli Murali..the first person in the group dance ?? Nice to see all the picture . You look awesome... Always i find u charming and I admire you and the way you carry yourselves. Its very tough in this world to see women with gumption like you. Really superb... You look cute. Thanks for sharing with us. Thanks for sharing those pics.!! Nice to see your picture. I searched throug google to know the reason why you are not a host in Super Singer 2008 for a long time. This result landed in your blog and saw the nice picture. But still missing in Super Singer 2008! Nice photos with good clarity. do keep a personal copy. U look best and truly beautiful in Indian clothes ! And i think as you have the height and figure, sarees would look awesome too ! Esp those a little transparent with chamki work. Try them more often ! Gorgeous ! Really u look too good in all photos. I like to see snaps of u with saree and half saree. Please post that too if you have. Realy ur look is very cute in all photos.I like ur smiley face.